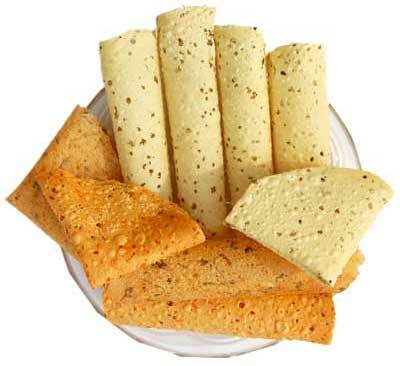 The Indian Papad or Papadum as it’s also known can best be described as a type of tortilla, wafer or flat bread. Made from lentil, chickpea, black gram or rice flour the papadum or papad as is it known in the North is a very popular appetizer or snack among most Indian. The crispy thin crackers Papadums are a crucial accompaniment in most South Indian meals and is eaten mostly as a snack or appetizer in the North. They can come in a variety of types- spices flavored, plain or made of different lentils. Here’s a closer look at the Indian Papad and how to cook them. Papads can be made of a variety of different lentils, chickpea, gram or rice flour. There are even some types of Papad made from jackfruit or and sabudana (Tapioca). While now a days Papads are manufactured by machinery, the traditional way of making papads by hand is still hugely popular in India and is a source of employment among women in rural areas. Water is added to the flour of lentils with salt, spices and sodium bicarbonate and mixed to form a dough. After resting the dough for a little while, it is then rolled in to long sausages and then using a thread small sections are cut off forming similar sized round pieces of dough. These round balls are then rolled paper thin until you can almost see through them. The papads are then sun dried and packed for selling. A papadum can be cooked by deep-frying, roasting over an open flame, toasting or even microwaving depending on the desired texture. – flip the papad over and cook the other side. – the cooked papad will be non greasy with little black spots with a crunchy roasted flavor. Papads can be deep fried in oil. Sunflower/ vegetable oil is preferable. When the oil is heated the papad is slid into the oil carefully one at a time, it barely takes a few seconds to cook and come up in the oil and should be taken out using tongs and is best when the oil is blotted by placing them on paper. – Put 1 papad in the microwave oven. – Start out and cook the papad for 15 seconds. Stop the oven and flip the papad to the other side and cook for 15 more seconds. Some lower powered ovens need a total of 60 seconds to cook the papad. 30 seconds on each side. A simple fried or roasted papad topped with an Indian salsa. 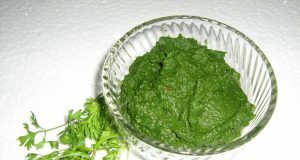 Served popularly as an appetizer in restaurants. Roast the papad on high flame carefully and lay it on a palate. Mix all the ingredients in a bowl, except papad. Spread the mixture on the papad. Serve immediately before the papad gets soft. In Rajasthan Papads are used rather unusually to make a dish where in they are soaked in a tangy gravy. The Papads take on an almost velvety texture when they absorb the sauce making for an interesting dish. – Break the papads into 1 inch squares. 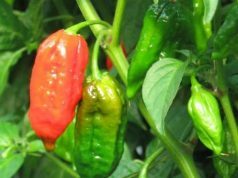 – Heat ghee in a saucepan, add seeds. 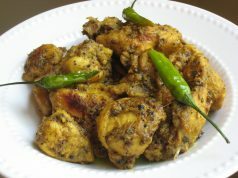 – Add asafoetida, chilli powder and curds together. Stir till yogurt turn brown. – Add turmeric, water and salt. Boil. 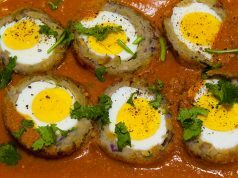 – Add papads and coriander. – Boil for 3-4 minutes.